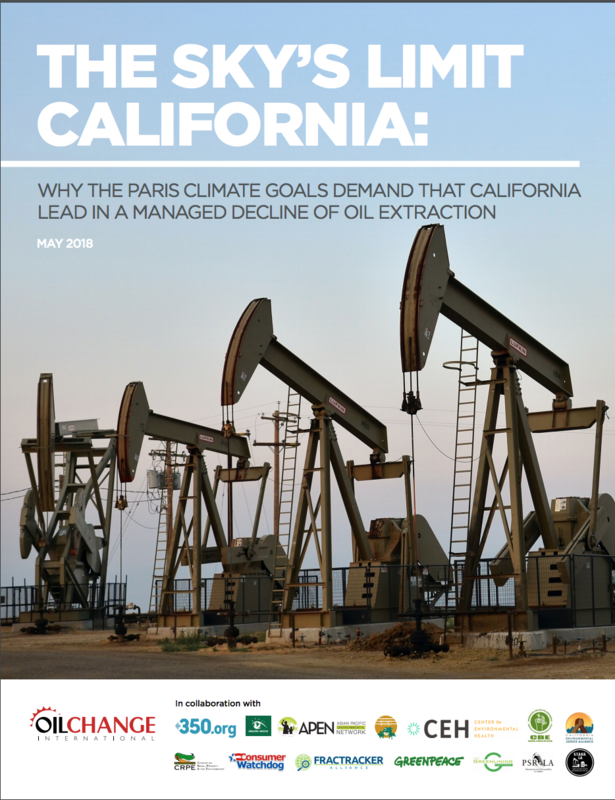 This study examines the implications of the Paris Agreement goals for oil production and climate leadership in California. California’s leaders, including Governor Jerry Brown, have been vocal supporters of the Paris Agreement. Yet, California presently has no plan to phase out its oil and gas production in line with Paris-compliant carbon budgets. Under the Brown administration, the state has permitted the drilling of more than 20,000 new wells, including extraction and injection wells. Elements of a just transition for affected workers and communities. Develop a transition plan that protects people whose livelihoods are affected by the economic shift, including raising dedicated funds via a Just Transition Fee on oil production. to climate leadership. 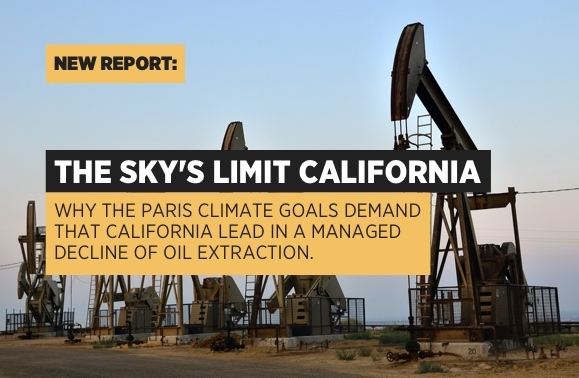 By taking these steps, California would become the first significant oil and gas producer globally to chart a path off fossil fuel production in line with climate limits. Is it true as Consumer Watchdog reported that Brown has granted some 230 off-shore oil leases? If Jerry Brown really wants to be on the right side of history–in fact as well as in words–he would do well to ban licensing of new fossil fuel projects in California before he leaves office. Leave the Oil in the Soil! Wu Joong Italy. No Petrol But RenewablesEnenRenewables Energy! Wu Joong Italy. CA must pass laws than ban all new fossil fuel extraction in the state, and phase out all existing fossil fuel extraction and refinement by 2030. At the same time, the state must increase annual investment in solar & wind power generation, along with battery storage and grid infrastructure improvements. The state must defend existing vehicle emission standards, as well as the Clean Air, Water and Power Acts, from attacks by a hostile EPA. Instead of banning extraction California could impose a increasing severance tax on extracted oil and gas. This would curb production. The only way CA can meet its zero-carbon electricity goal in 2045 is to keep Diablo Canyon Power Plant running and bring even more nuclear power online. Because renewables are intermittent, they require “always on” power sources as backup (when the wind’s not blowing and the sun’s not shining). Hydro and geothermal power are in short supply, so CA has come to rely on natural gas as backup for renewables. Given the increasing demand for electricity to charge electric vehicles, only nuclear power can be scaled up enough to eliminate the need for natural-gas power plants. What is going on with Gerry Brown. He was on the side of angels. Now he’s receiving lots of money from big oil.